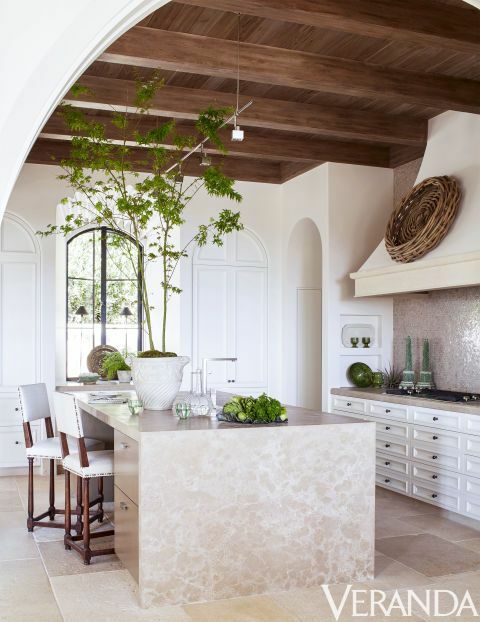 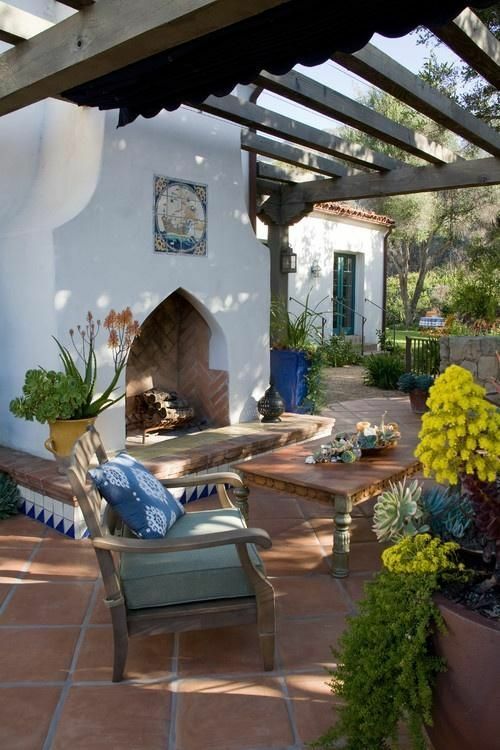 Mediterranean style is rather popular for decor today: it’s very relaxing and chic, and it’s absolutely timeless. 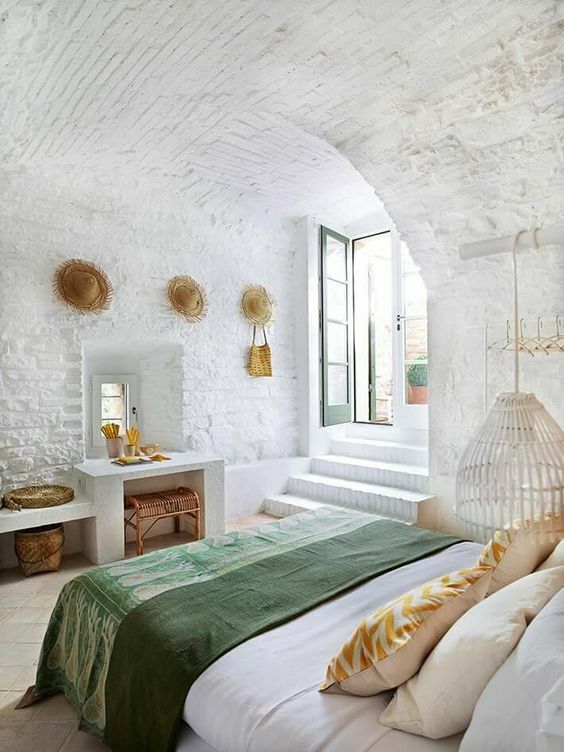 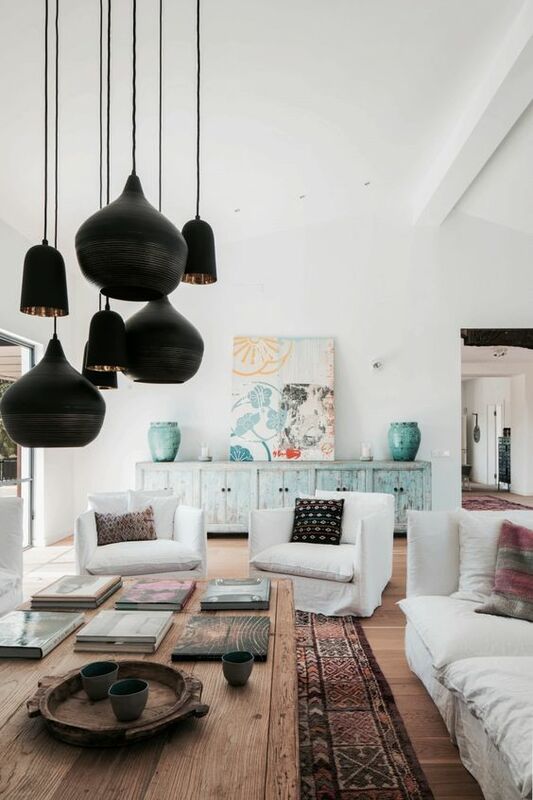 Such a style reminds of cool vacations somewhere on the coast, and it’s great to decorate any space of your home, whether it’s a beach house or not, and if you miss the beach holidays, there’s nothing better! 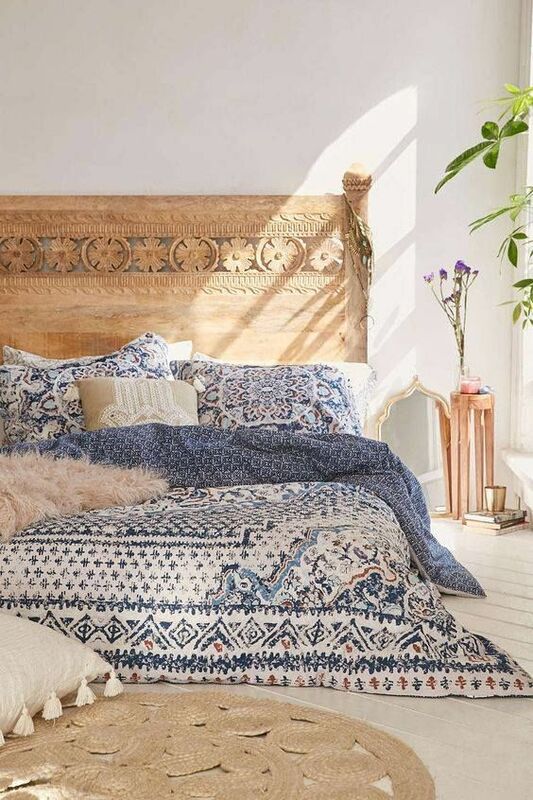 Wanna know how to incorporate this style into your home decor? 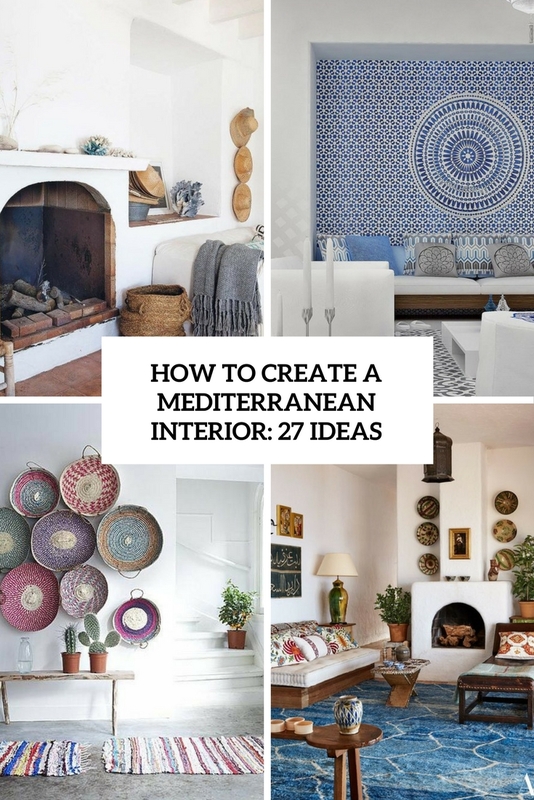 Here are some cool ideas. 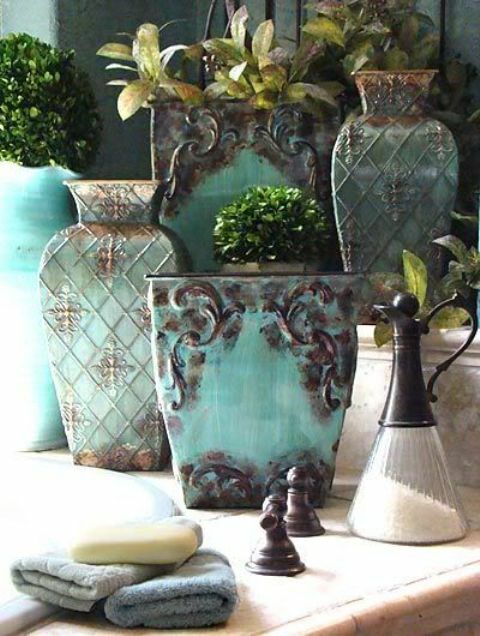 First of all, choose the right colors, which characterize this style. 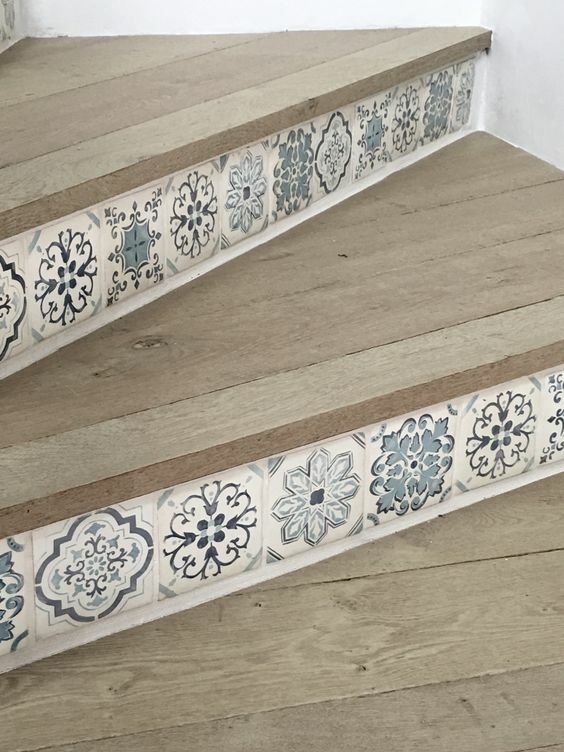 These are various shades of blue and green, brown and of course whitewashed surfaces. 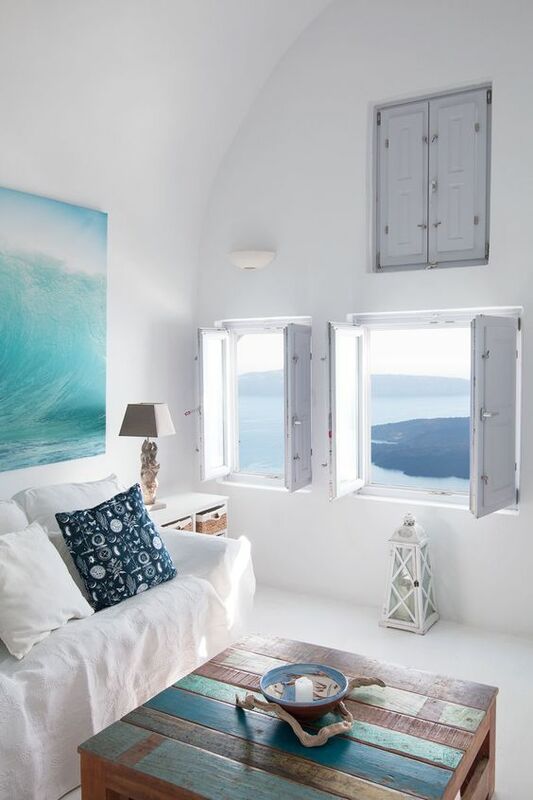 Everything seems to be whitewashed with sea breeze and sun beams. 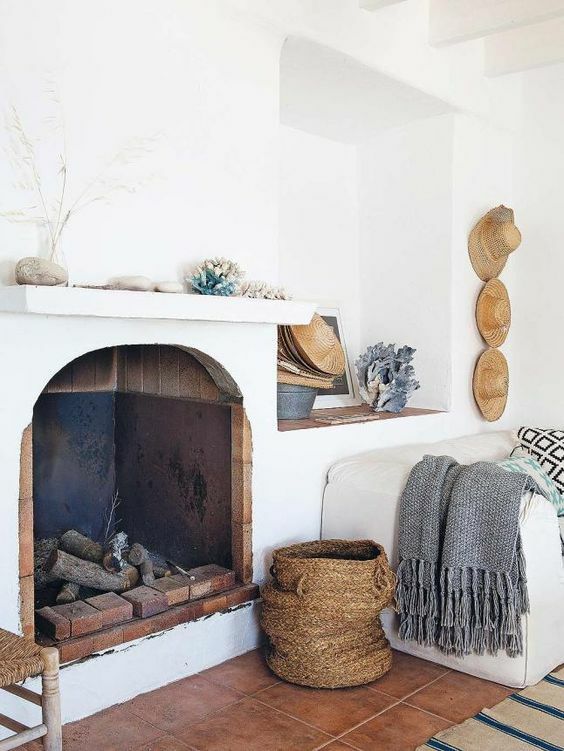 If the decor seems too boring to you, don’t worry, you can always make it interesting with textures: add rough wood, whitewashed brick, jute and sisal. 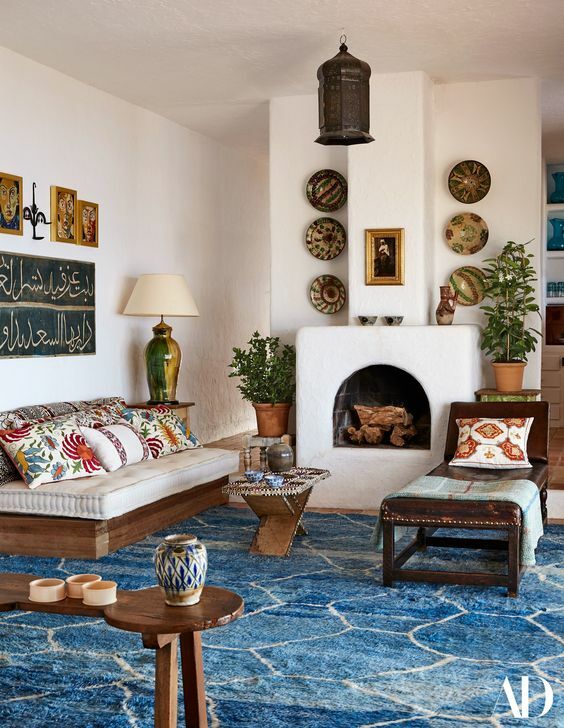 Such materials feel natural, sea-inspired and look eye-catchy, and even if your space is all-white or cream, you will highlight it with textures. 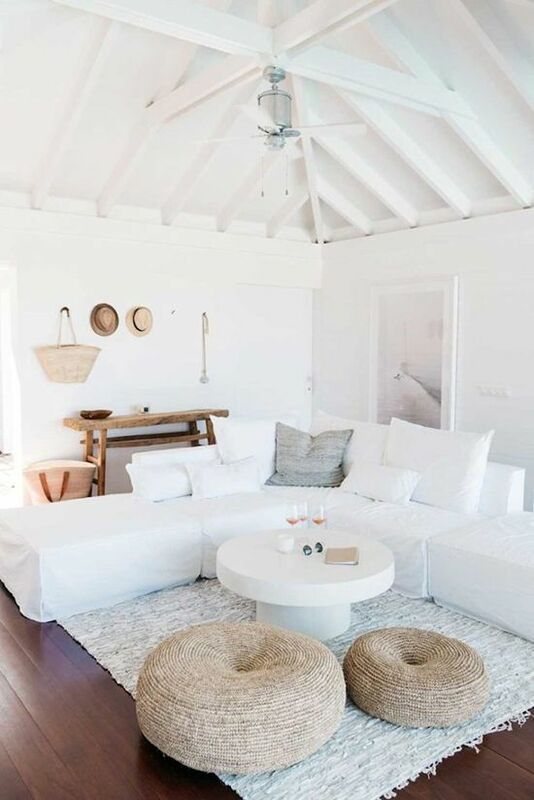 The furniture should be very simple, no refined touches or too bright colors. 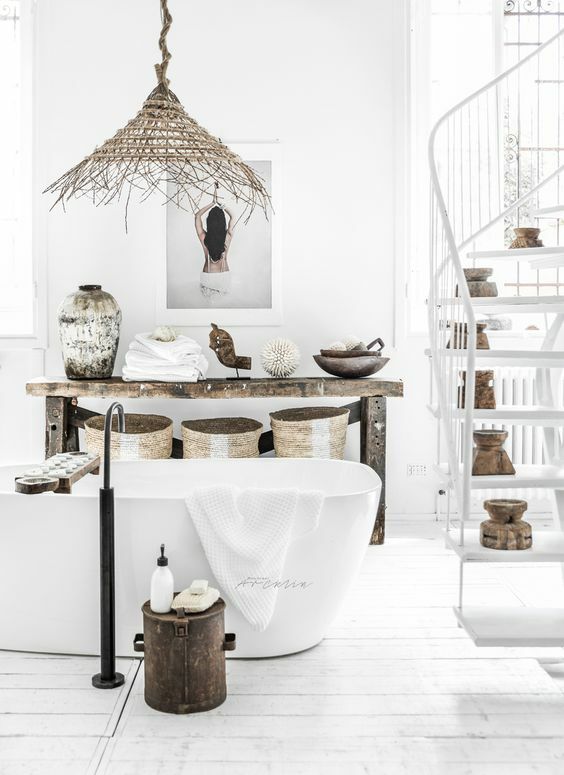 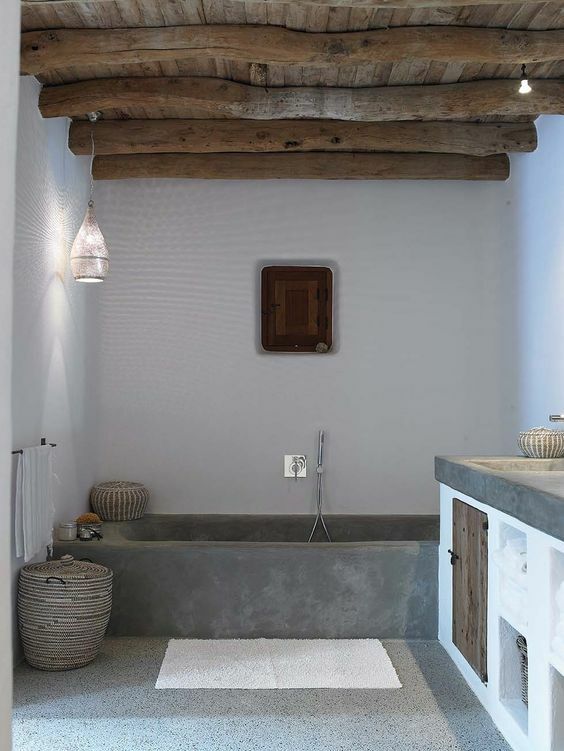 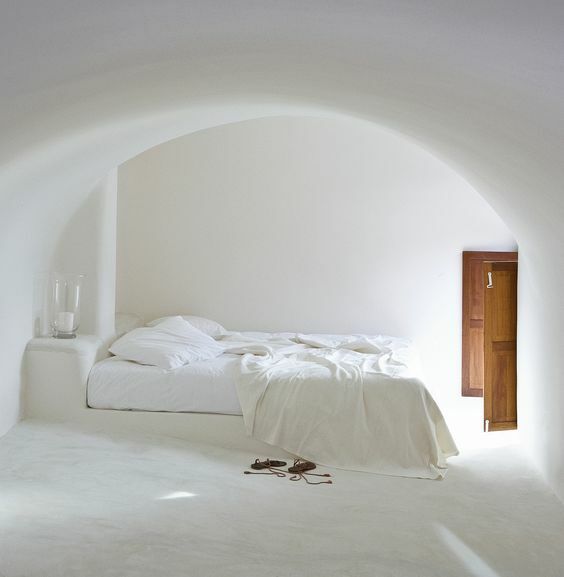 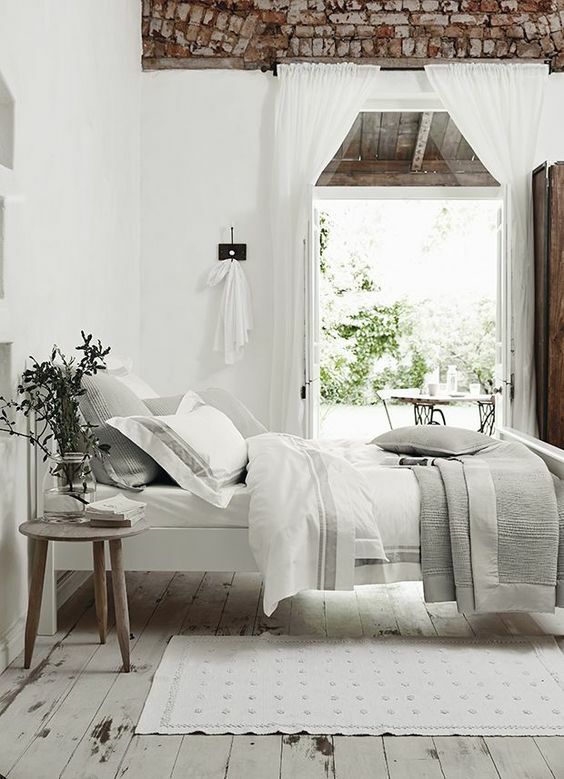 You can go for white or whitewashed pieces, natural shades of wood and something like that. 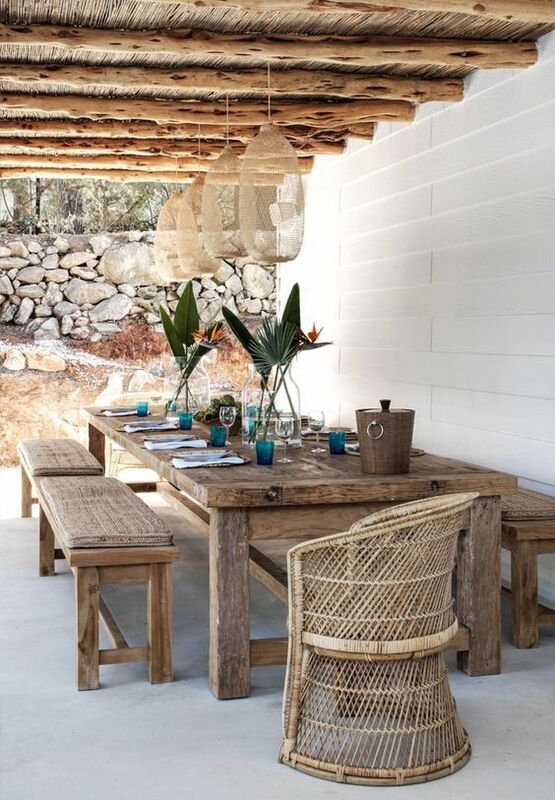 Wicker furniture is welcome! 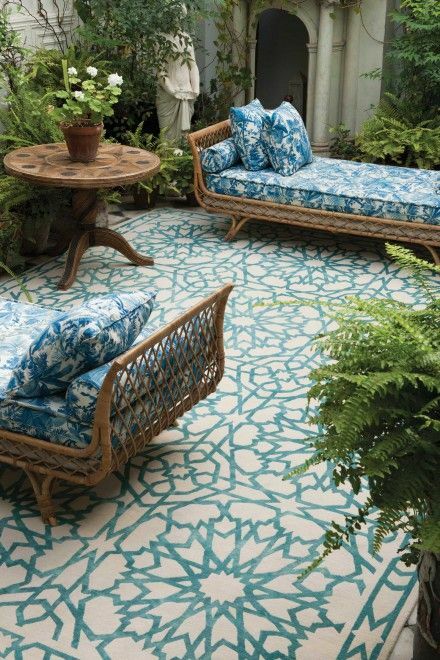 As for upholstery, it can be in the same shades that are characteristic for Mediterranean style or just white or creamy. 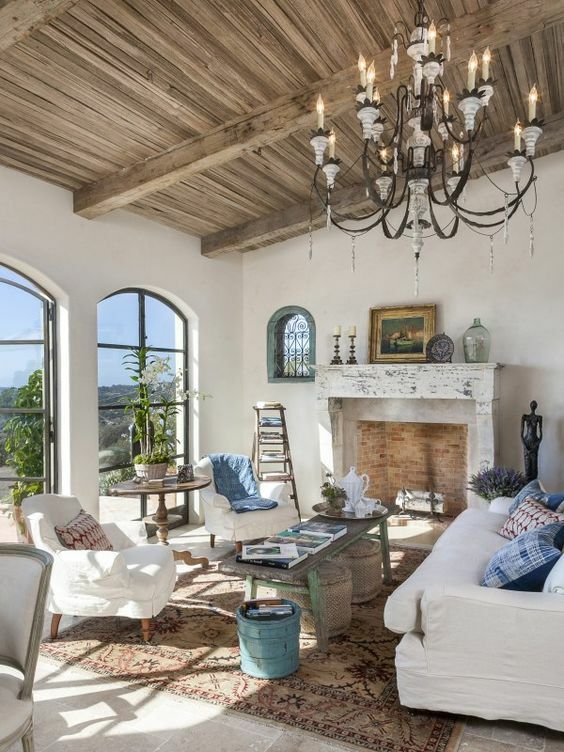 You may add shabby chic and rustic touches, or go for vintage looks – some patina and shabby chic stuff. 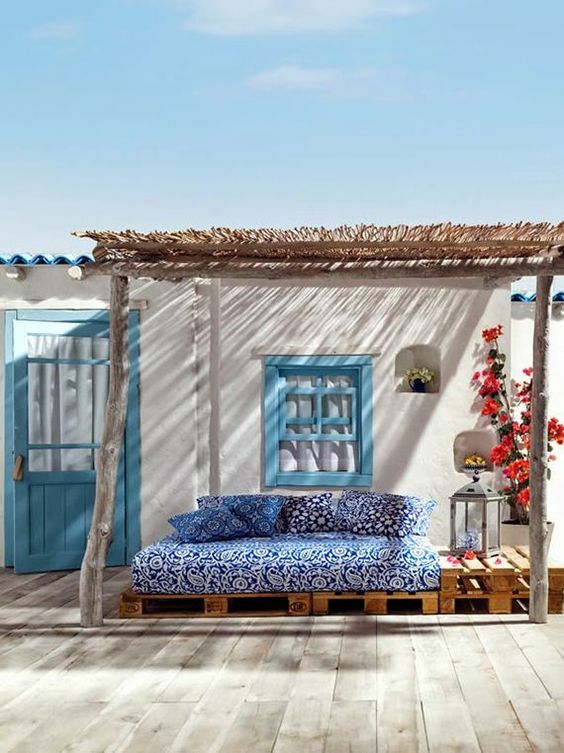 If it’s an outdoor space, you can always go for whitewashed brick or stone benches with blue printed or creamy upholstery. 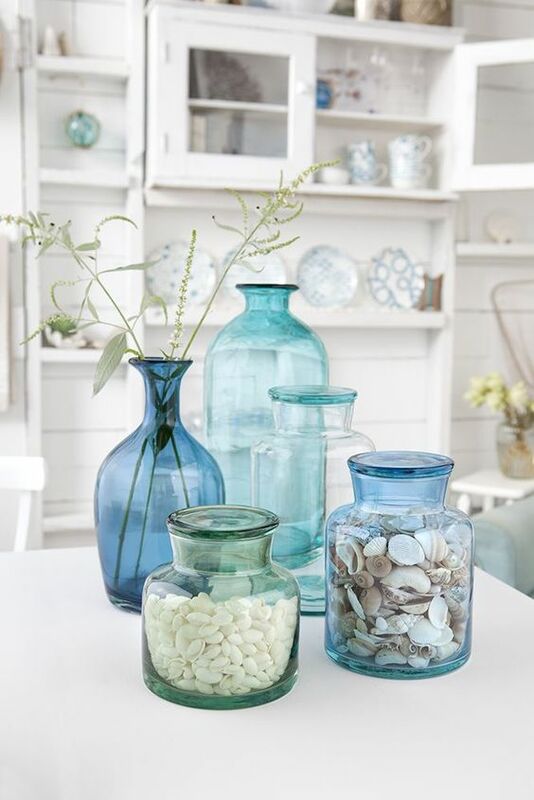 Besides textures, you can spruce up your space with bold or just eye-catchy accessories that match the style. 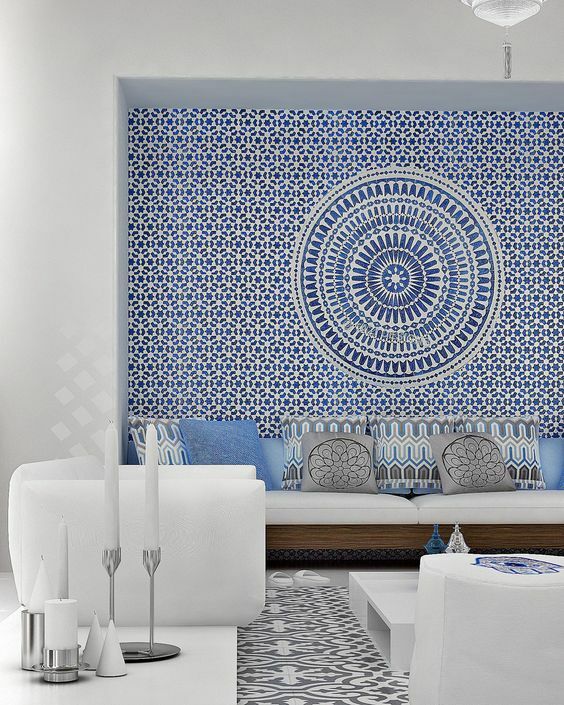 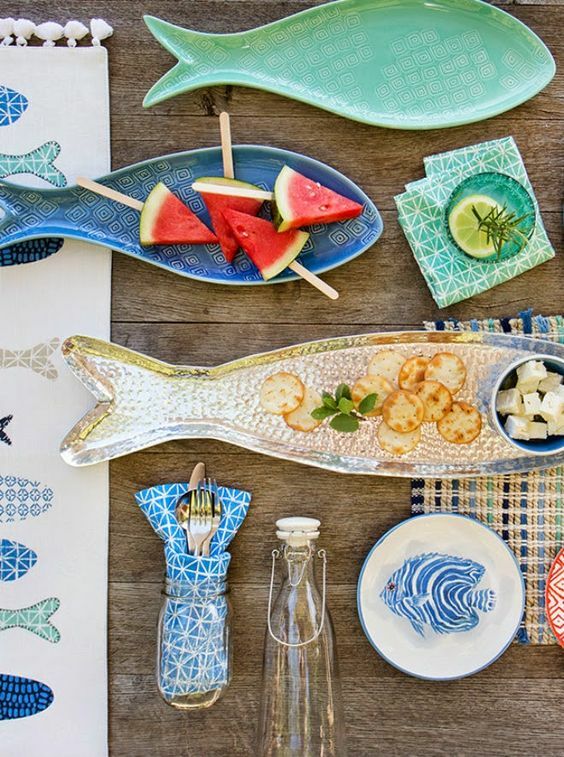 For Mediterranean style these can be sea treasures, azulejo tiles, which are so popular and traditional for Mediterranean style – you can see them in many Mediterranean cities, they cover houses and even streets. 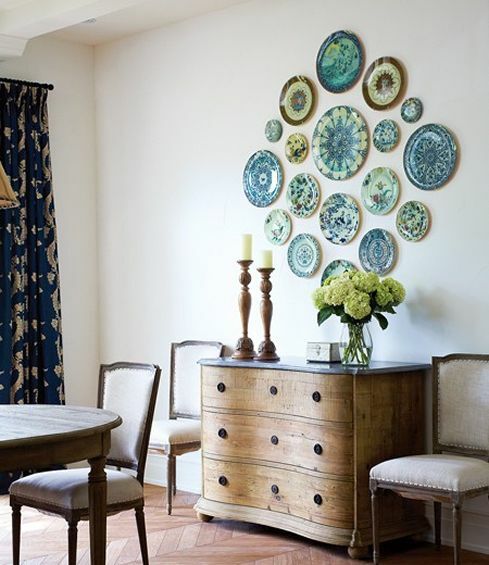 Decorative plates and plain baskets are also a great idea to apply to any space, not only a kitchen. 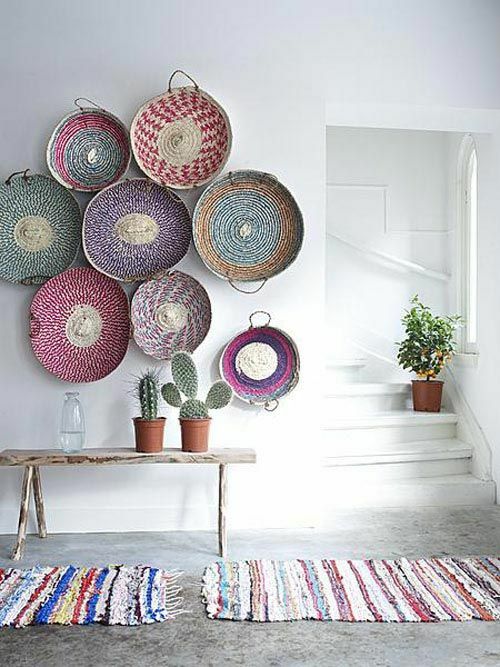 You can create whole arrangements of baskets or plates to add a colorful accent to your space.